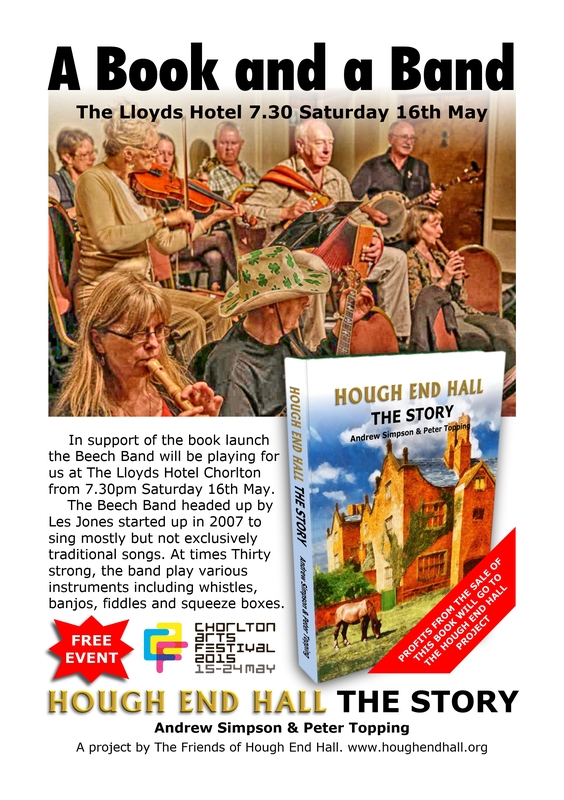 This is the promotional poster for the Beech Band playing at The Lloyds during the book launch Sat 16th May 7.30. Please share it with everyone, print it out and put up as a poster and spread it around on social media. This entry was posted in Events, History and tagged Book launch, Chorlton, heritage activities by houghendhall. Bookmark the permalink.